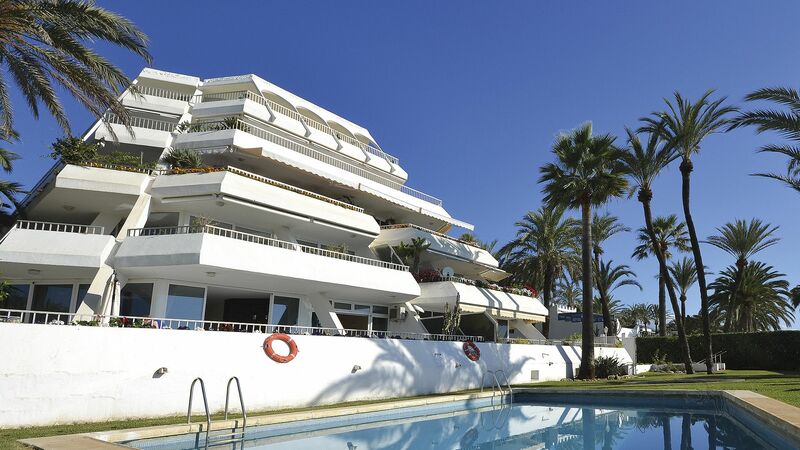 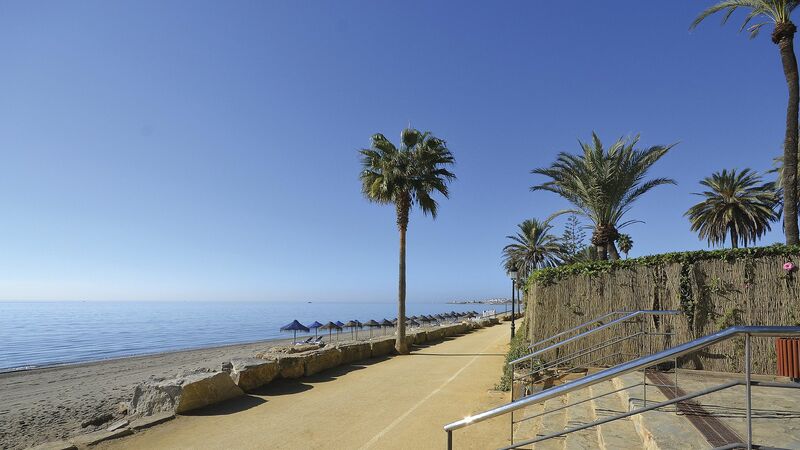 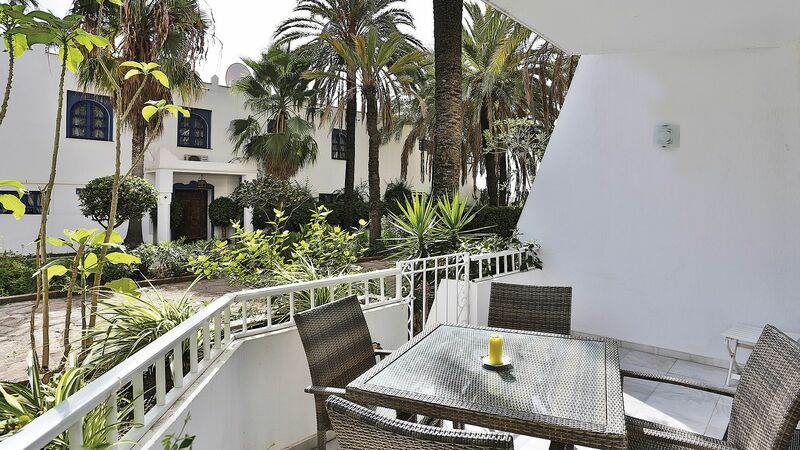 Apartment Marbella - This is an exceptional opportunity to acquire a quiet situated apartment Marbella in a residential complex with direct access to one of the finest sandy beaches and the beach promenade of Marbella and all amenities. 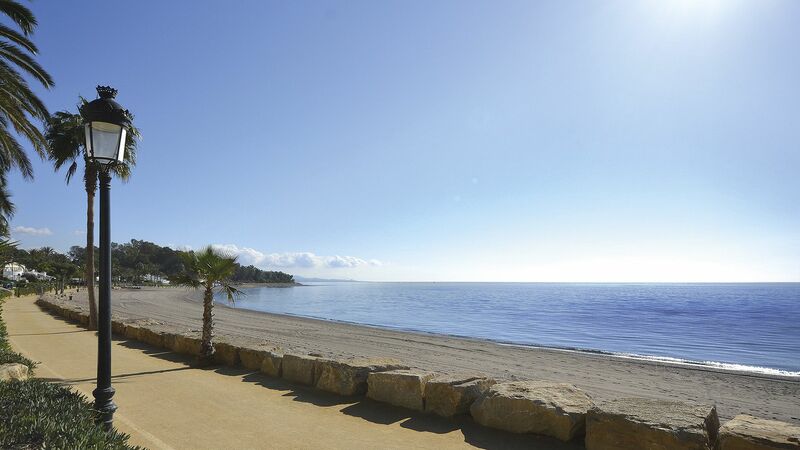 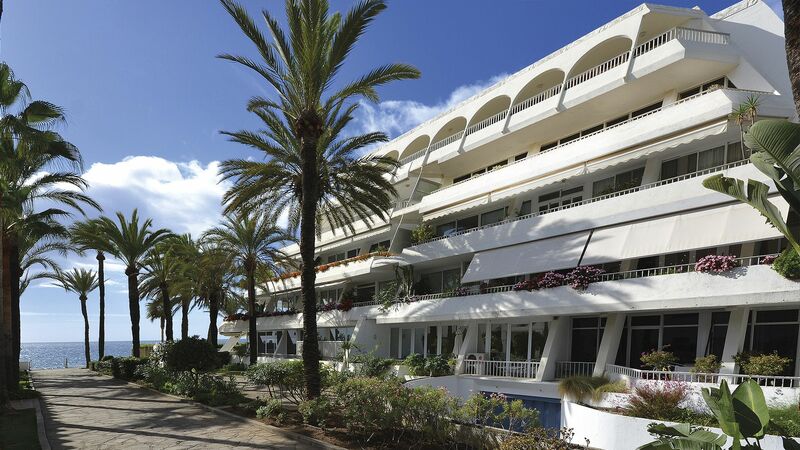 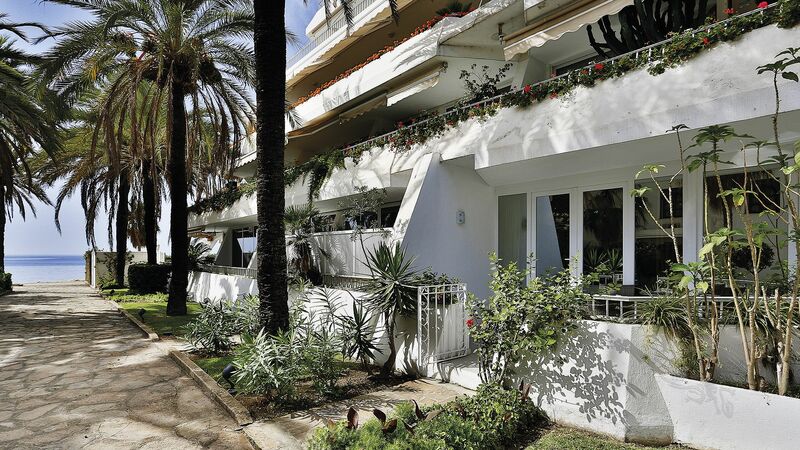 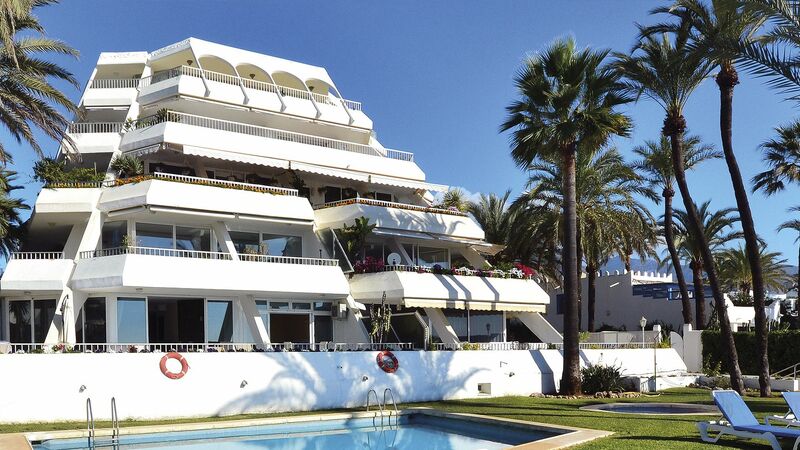 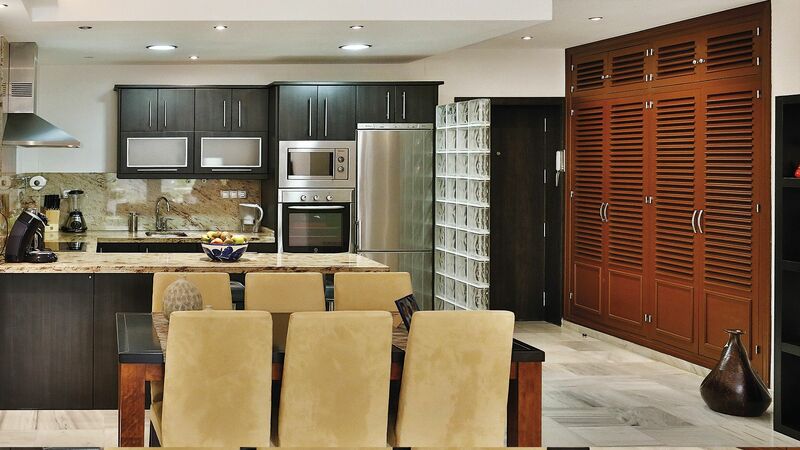 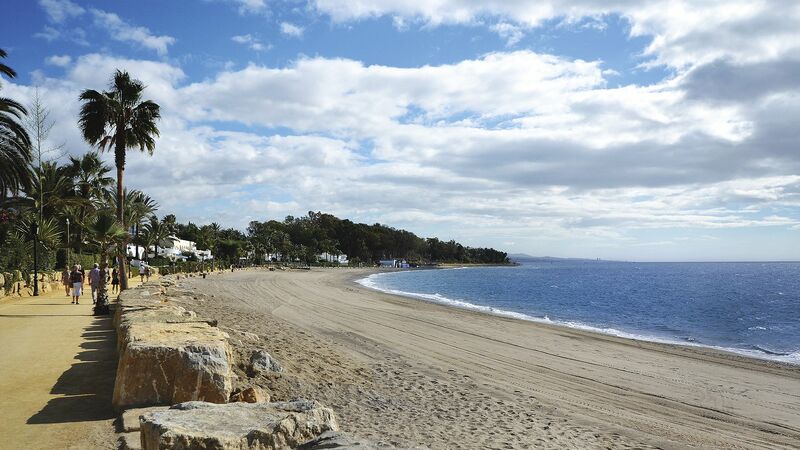 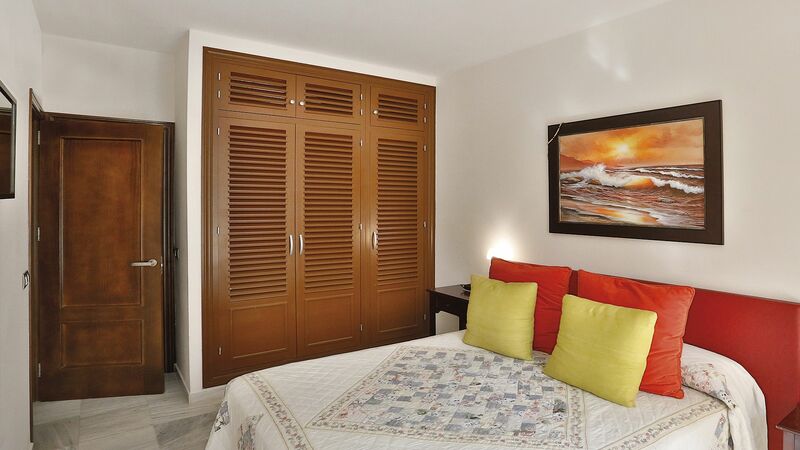 Both, the centre of Marbella and Puerto Banús, are within walking distance from a beautiful beach walk. 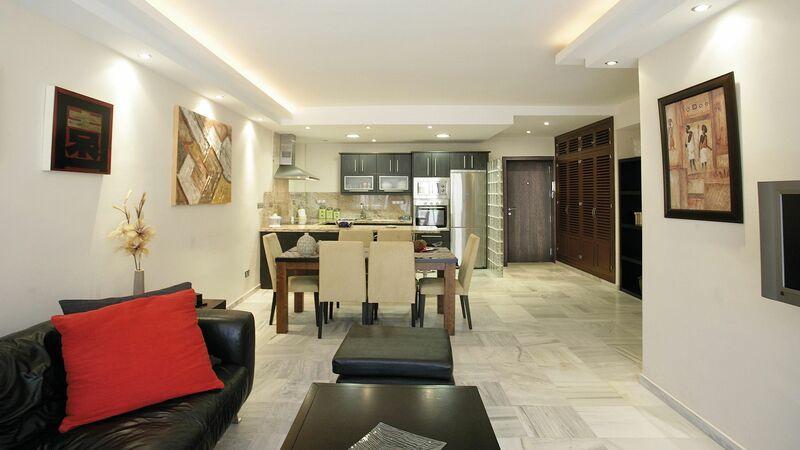 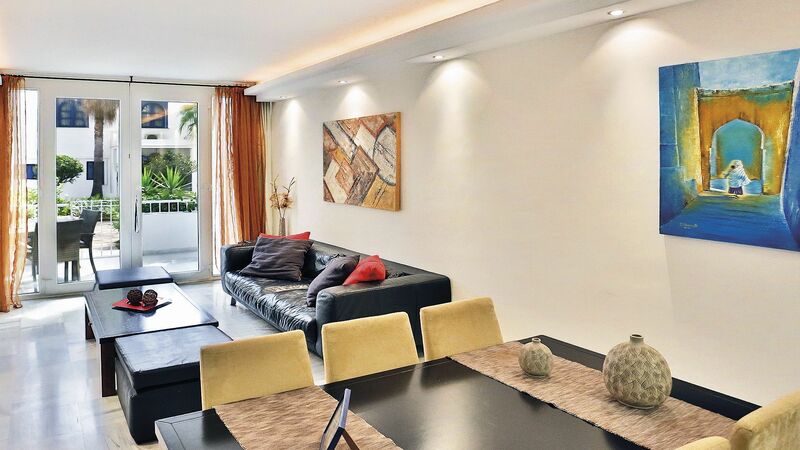 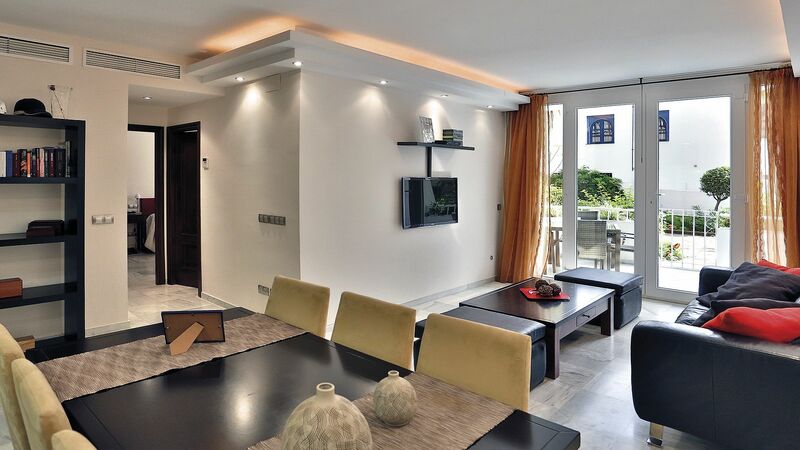 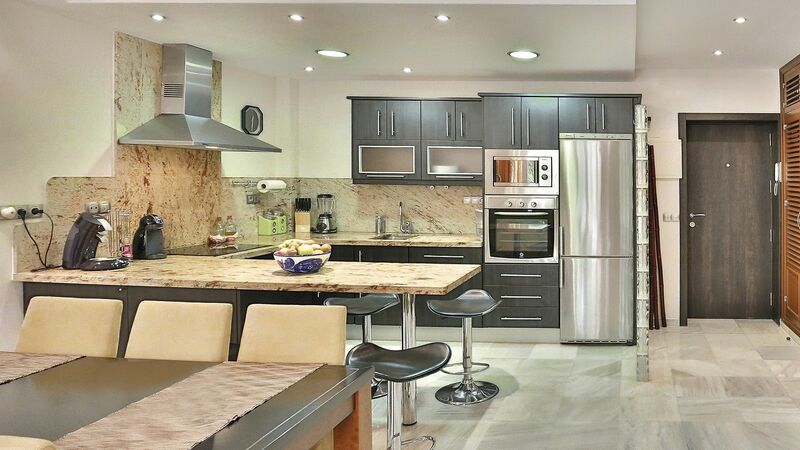 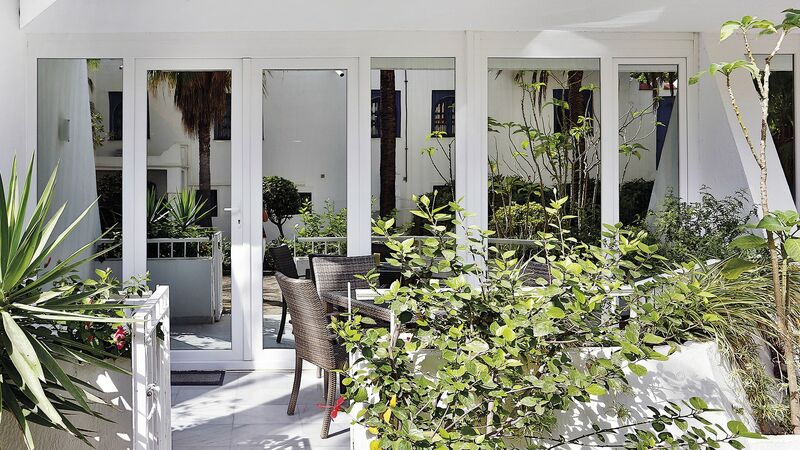 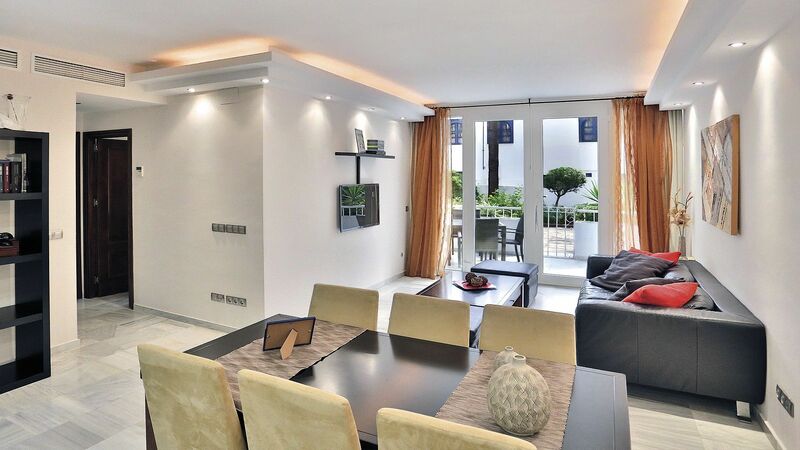 You will find this lovely and elegant modern ground floor apartment Marbella with mirrored windows less than 20 metres away from one of the best beaches of Marbella´s Golden Mile with its natural extension of the beach promenade towards Puerto Banús. 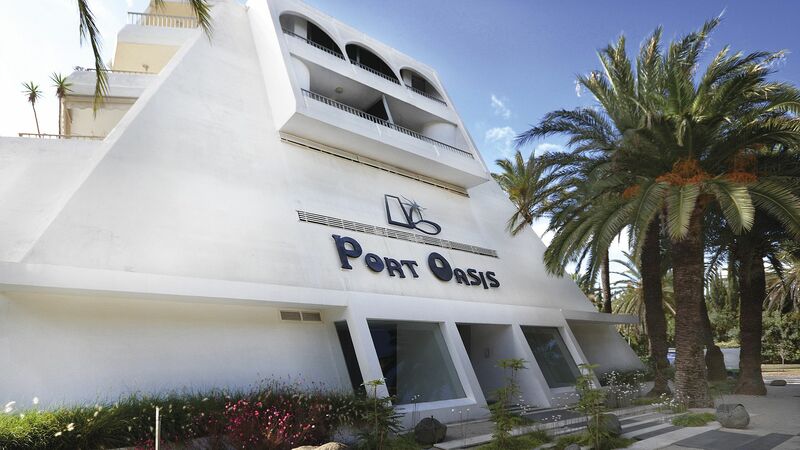 Located in the emblematic and sought after residential complex Port Oasis this apartment comprises of two bedrooms with built in wardrobes, two bathrooms, one of them en-suite, a large living & dining room with open plan kitchen opening onto the terrace which gives direct access to the beach and the Mediterranean Sea. 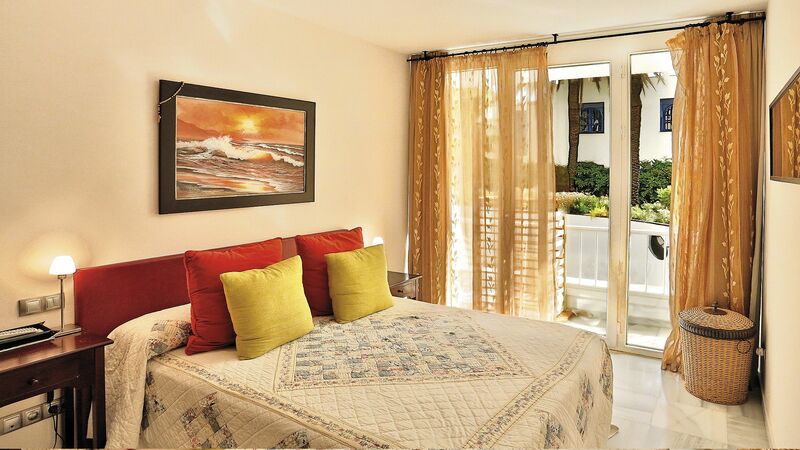 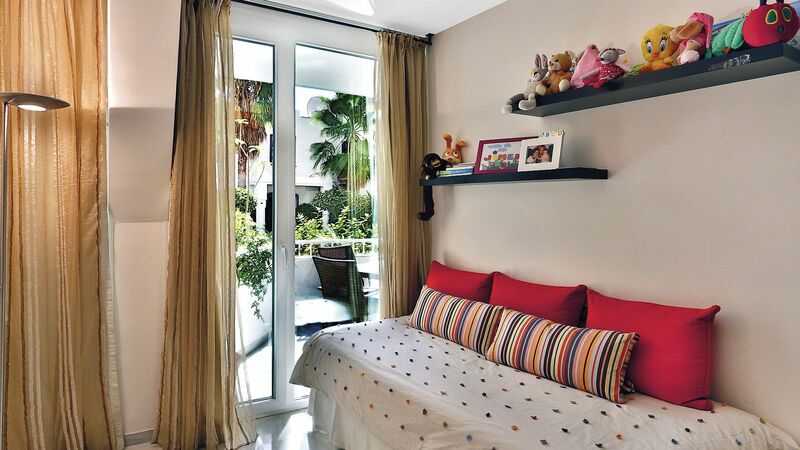 All bedrooms have access to a terrace and the windows are mirrored windows. 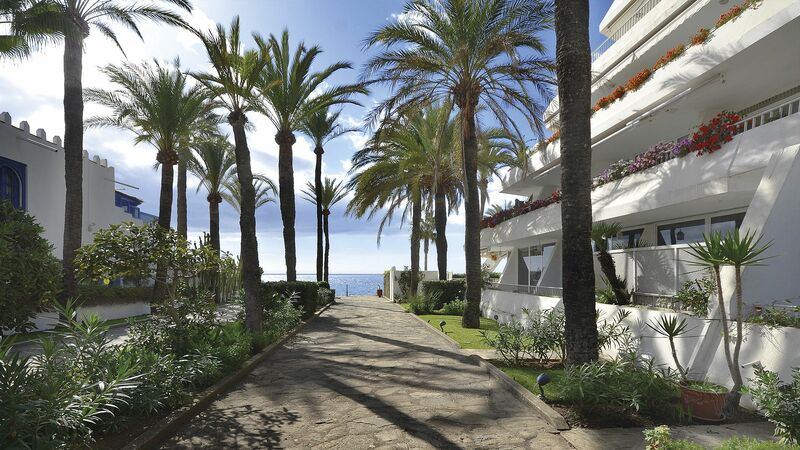 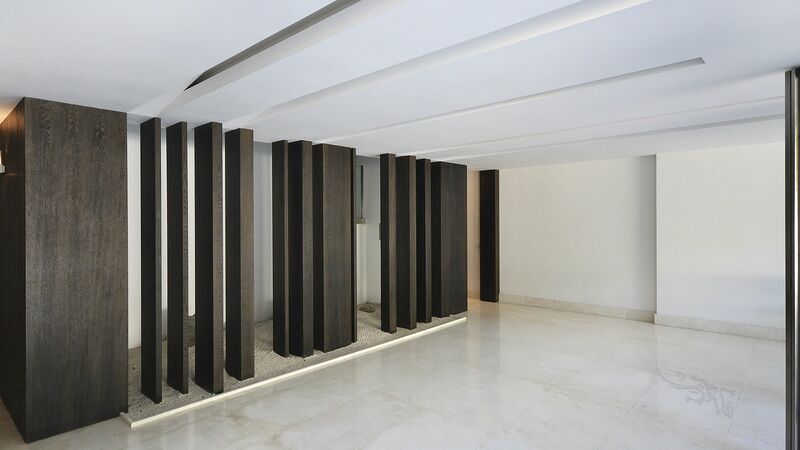 The complex has communal gardens, a large swimming pool area with a kids pool, daytime concierge service and is looked after through security guards by night.